Are you looking for post natal message in Kuala Lumpur (KL) and its surrounding area? If you are, try this simple trick that you can use online. This is something I’ve discovered while using the www.myfave.com (previously Groupon Malaysia) portal. 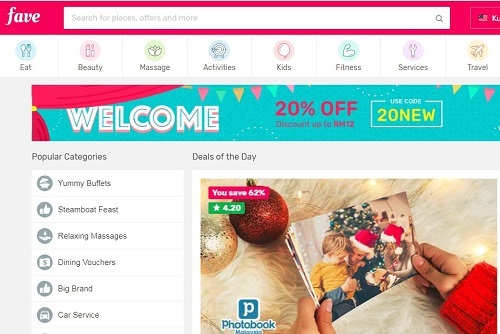 You can use the internal search engine on myfave.com to help you to find post natal message packages available in KL area. First, head over to Fave Malaysia at www.myfave.com/. 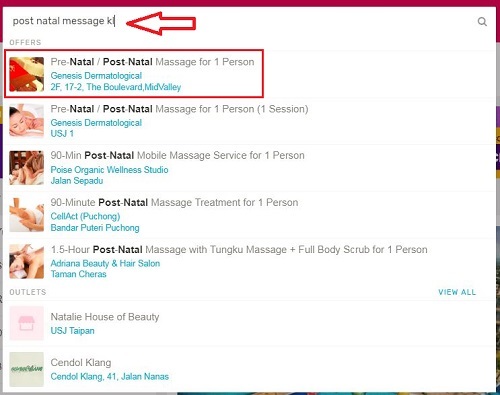 Next, click on the search bar and type in “post natal message kl”. As you type in the search phrase, the search bar will list out the massage packages available on Fave automatically. As when I am writing this article (March 2018), the search results showed 1 pre-natal / post-natal massage for 1 person. The location is at The Boulevard, Midvalley. Very close to Kuala Lumpur. When there are a lot of post natal message packages offered on Fave, you will see multi offers. I hope the simple trick above is helpful. If you have any feedback, please write in the comment section below.